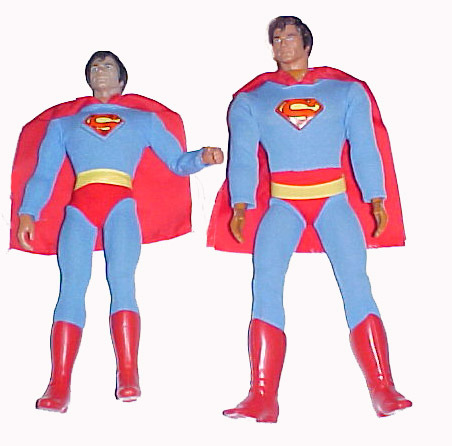 This is my Comic version of the 12 inch Superman, much different from the version done as a tie in to the movie. 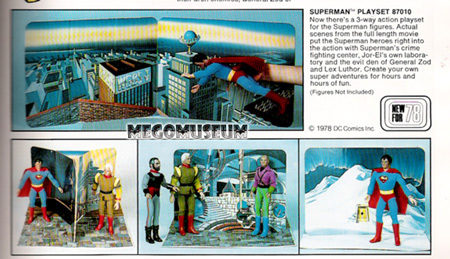 General Zod, Jor-El, and Lex Luthor courtesy Brian Heiler, below. 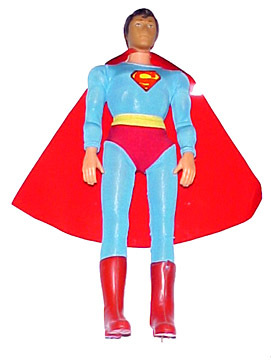 This is a Canadian released Superman figure, which never saw release in the United States, he is much more difficult to find than the later Movie inspired Supes. A recent find of Harbert (Italy) boxed versions has brought his price tag down though. Removable boots, plastic embedded insignia (not a sticker) and each has one hand that points! 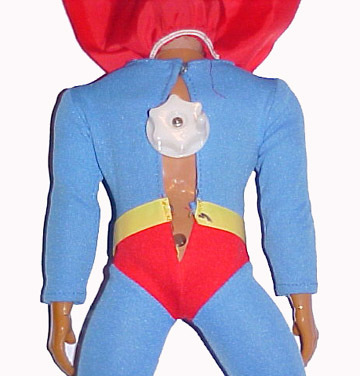 The Movie Superman has a buff chest and different head, which was common of nearly all of the 12" releases in the US. General Zod says," I've got a gun and I know how to use it...hold it like this? Okay. Rar!" Jor-El says "I'm dead! The whole point of my character is that I am dead! 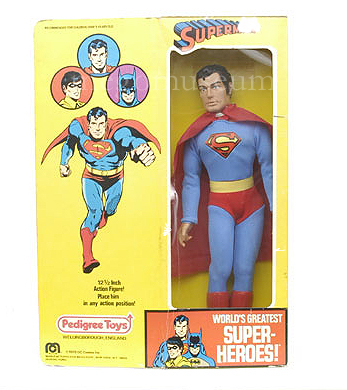 Why an action figure? Still, I'm Marlon Brando, so how bad could it be?" Lex Luthor says. "See? See how fine and easy I would be at 8 inches? I'm a cinch! I even look like Gene Hackman! French Connection customs, baby! Love me!" 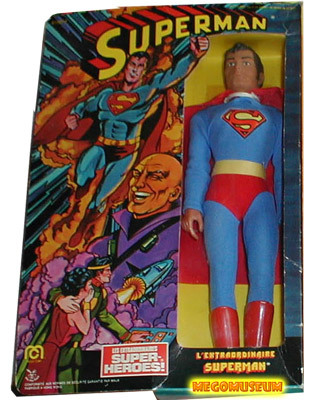 Comic Headed Superman in his Pedigree (UK) Box. A nice detailed shot of um, well, Superman's knob. 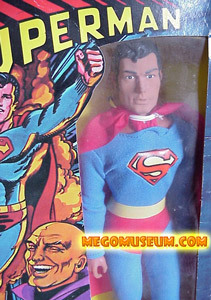 The Mego licensed Ensueno Superman 12" doll, found only in Mexico. 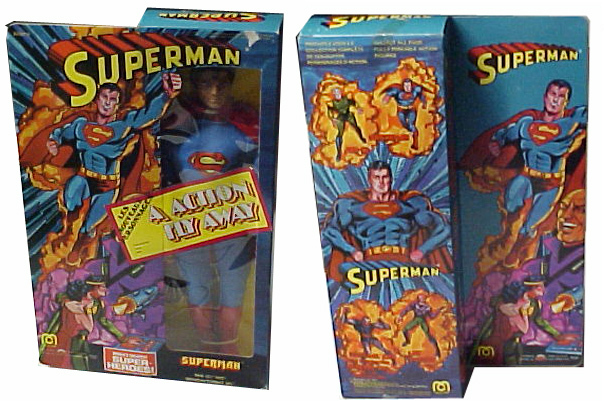 This Superman 12" Playset would have made for a cool addition to the line, sadly, buyers didn't order enough for Mego to produce it.